PHMC builds healthier communities through partnerships with government, foundations, businesses and community-based organizations. It fulfills its mission to improve the health of the community by providing outreach, health promotion, education, research, planning, technical assistance, and direct services. 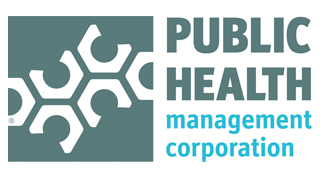 Get in touch with the Public Health Management Corporation. This webinar served as the launch of the CDC’s new Health Impact in Five Years (HI-5) or “High-Five” initiative, which highlights a list of non-clinical, community-wide approaches with a proven track record. Coauthored by Research Scientist Siu-kuen Azor Hui, PhD, MSPH from the Public Health Management Corporation (PHMC), this study investigates the effect of poor sleep on employees and employers. The study was published in the October 2015 issue of Journal of Occupational and Environmental Medicine. A summary of a Collaborative Practice Design Lab led by Joe Hafey, (Public Health Institute – CA), Richard Cohen (Public Health Management Corporation), and Ellen Rautenberg (Public Health Solutions).